Whether your kiddos are heading to day camp or hanging out at home, spring break is a great chance for some unstructured nature play, local exploring, even an outing to a nearby state or national park! 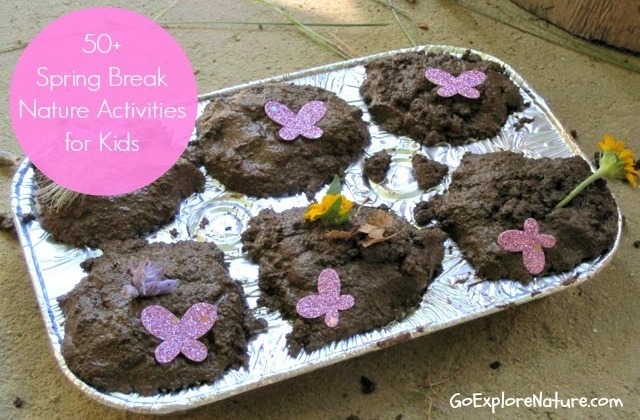 Here are 50+ spring break nature activities for kids to help encourage some outdoor fun. And if travel is on the agenda, make a point to schedule in some time to connect with nature during your trip. Explore a flower up close. Visit a local garden or arboretum. Head to a local farm for a u-pick adventure. Adopt a caterpillar and release a butterfly. Participate in a junior ranger program. See some wildflowers in bloom. How about you – what are your family’s plans for spring break?